A package for beginners without a handicap . Play on the Bracken during the following times, subject to availability. (Please check with Golf Shop before commencing play). 5 lessons will be provided as part of the package from either Neil Harvey, Scott Emery, or Alison Johns - for dates please see below. There will be one session on the basic rules of golf and etiquette. The purpose of Adult Academy Membership is to achieve at least a 28 (Gents) or 36 (Ladies) handicap. Two years is the usual time period for this category of membership but in certain cases can be extended for a further period. Academy Members cannot play in any club competition until the above handicap has been achieved and become a full member. Once a handicap as above has been achieved the player would be expected to graduate to a Full Membership at the start of the next membership year or sooner if they so desire. The joining fee attached to Full Membership can be paid over 2 years. Full use of Club House and Practice Facilities. Club Card to obtain members' discount in bar and dining room. We have tried over the last 5 years to put dates on for people to meet up, however last year only a few turned up to play so with over 35 members in the academy it would be good if we could find games for those that want to play with other academy members. So this year academy member Dave Evans has kindly volunteered to run a weekly meet up, please do support this if you can play in the week. Steve Hyde and Jo Burden are once again offering to help out with some other dates and myself and Joel will also be hosting at other times. Jo will add a few more dates in and I shall be updating the academy page on the website with more dates. All are welcome to attend to attend all academy sessions but can you let me know if you are happy for me to pass your details to Dave Evans, he will keep in contact via a message group. Please reply with any suggestions regarding the academy for 2019. Also please note all academy members are more than welcome to join the social events throughout the year. 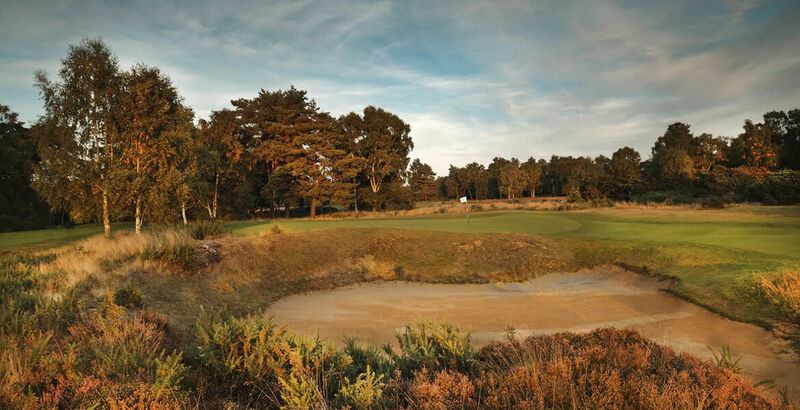 There will be six 9 hole events this year on the Bracken and the 18 hole Sunday lunch Texas Scramble to be held on the Hotchkin. These dates are also on the diary. Download the FREE Woodhall Golf Club App for either the iPhone , iPad , Android or view our mobile app website .